What is conditional advertisement and why to use it? Normally, routes are propagated regardless of the existence of a different path. The BGP conditional advertisement feature uses the non-exist-map and the advertise-map keywords of the neighbor advertise-map command in order to track routes by the route prefix. If a route prefix is not present in output of the non-exist-map command, then the route specified by the advertise-map command is announced. This feature is useful for multihomed networks, in which some prefixes are advertised to one of the providers only if information from the other provider is not present (this indicates a failure in the peering session or partial reachability). In the example below we will configure one router but I have staged four additional Internet routers and two computer devices for testing purposes. The configuration of R1 must prefer the primary service provider ISP1 at all times and not become a transit router on the Internet. 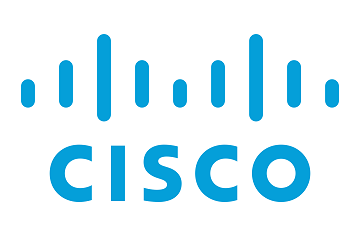 In the event the primary ISP network becomes unreachable BGP must failover to the backup service provider, ISP2. At that time R1 must advertise the 1.1.1.0/30 address space. If the primary service provider's network is stable the 1.1.1.0/30 address space must not be advertised to the backup service provider. 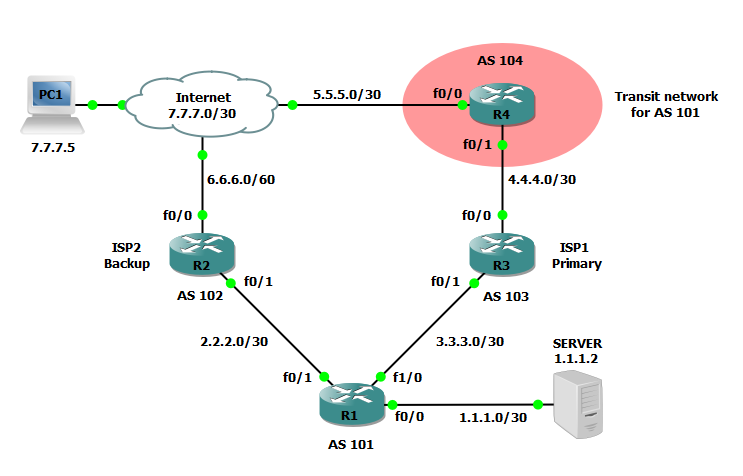 Step 2: Enable a BGP routing process with each router having a unique AS number, enable BGP routing on all applicable IP networks, and configure static neighbors. 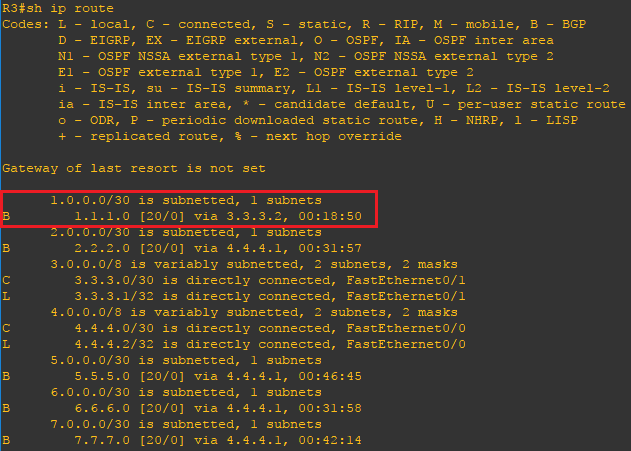 Step 3: Configure a higher local preference for routes from the neighbor R3 over the primary ISP. Step 4: Configure a distribute list so only our networks are advertised and our router does not become a transit router. 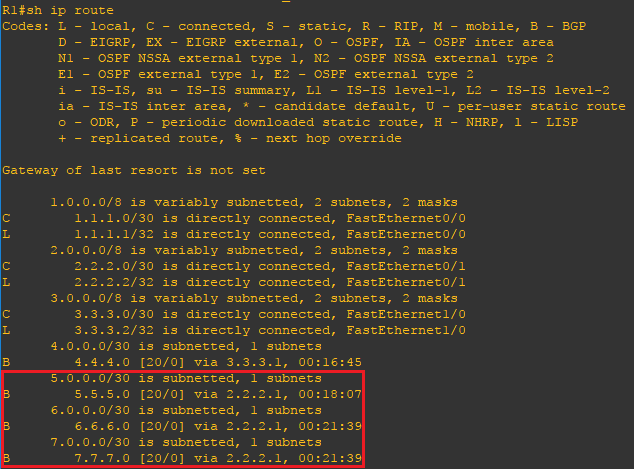 Step 5: Configure a prefix-list, community-list and route-map to only advertise the 1.1.1.0/30 address space when 4.4.4.0/30 is unreachable from a BGP perspective. Now that the configuration is finished lets verify our neighbors and routes. Using the show ip bgp summary and show ip route commands you can verify the remote routers to which your router has formed and adjacency and verify the expected routes are being advertised. Use the ping command to verify connectivity. Upon reviewing the routing table on R1 we can see ISP was the preferred path for all networks more than 1 hop away. On R3 if we review the routing table we will see 1.1.1.0/30 is advertised only out of the ISP1 network. Lastly, let's test failover. If we simulate a link failure between R1 and R3 the 4.4.4.0/30 network will become unavailable. After a period of time BGP will remove the network from the routing table and advertise the 1.1.1.0/30 network to R2. If we bring the link between R1 and R3 back up R1 will cease advertising 1.1.1.0/30 to R2 and ISP1 will be the preferred path once again.